I'm not much of an earring wearer. always gotten infected unless I buy expensive earrings. And who cares about glammed-up ears while a good chunk of my day goes to scrubbing toilets and mopping floors? If I see really cute ones at the store, I'll occasionally buy them for myself (knowing that Bella will certainly want to borrow them). But she was just keeping them in a jewelry box inside her drawer. Well you know what happens to earrings in a box. After a few turns to sort for what you're looking for, they get all tangled together. And she was always losing one in the pair. I had to figure out a way to display them, so we could see what we have, and easily keep track of them all. I used an old frame (I mean almost 50 years old from when we cleaned out my grandma's house. 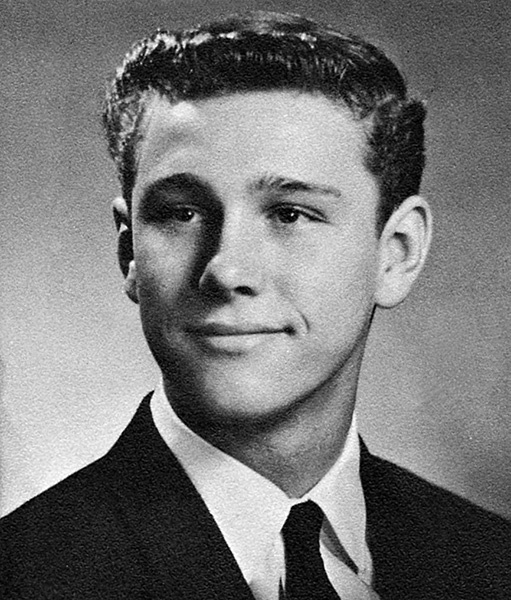 It had a black & white photo of my Dad in high school (don't you think he was handsome?). I took out the picture and put it in my "to scan" pile and up-cycled the frame. I LOVE crafting, so it was really fun to make. Bella's bedroom is gray with lime accents, so we painted the frame white and got ribbon to match her throw pillow. 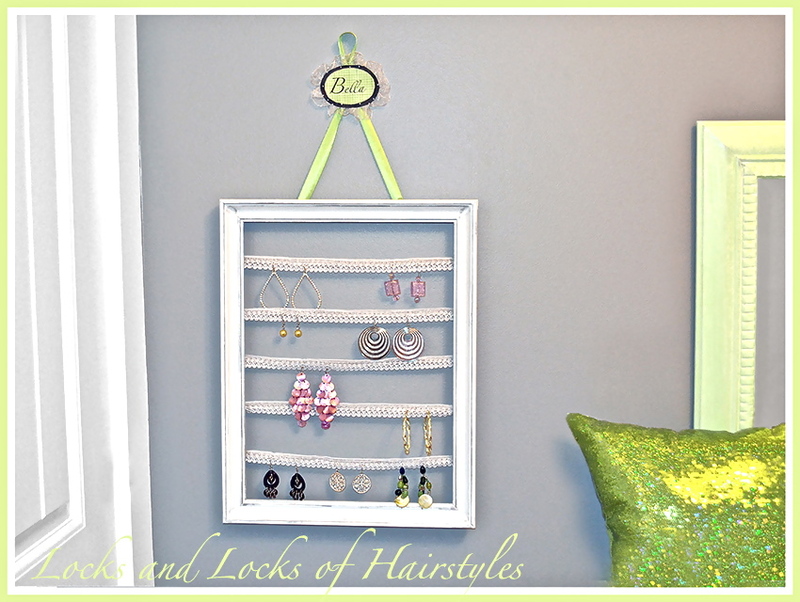 If you're looking for an afternoon hobby, this is way cuter than a messy jewelry box. That is so cute. I'll have to make one for my daughter's room. I love this! I've been wanting to make one for a long time. You've inspired me! Do you think it would work just to hot glue the lace on instead of stapling it? It would probably work with just the hot glue. 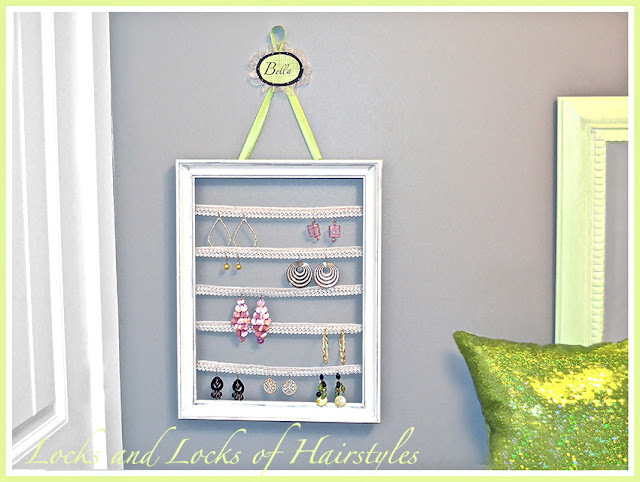 Just use a lot and then I wouldn't hang too many heavy earrings on the same row. Good luck!